Three days ago the snow was beautiful. Today most of us have a mild case of cabin fever. While winter can be a wonderland, snowfall can make winter a very dangerous time of the year. As a security company, we care about your safety, and you are probably itching to go out and do something now the roads are clear and ready for the kids to go back to school. If you plan on going out it pays to prepare your vehicle for winter driving. and having supplies in case of an emergency. It is always important to be prepared for the unexpected. 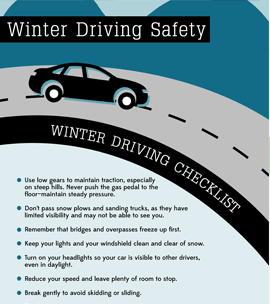 Here are some tips on preparing your vehicle for winter driving. Always fill the gasoline tank before a long trip or even for a short distance and always drive with your lights on. Stop to fill-up long before the tank begins to run low. Keeping your tank as full as possible will minimize condensation, providing the maximum advantage in case of trouble. 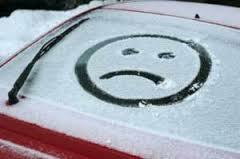 It may seem like common sense but be sure to clear all windows and lights of frost and stow to increase visibility. Stay warm and safe this week Hawkeye friends!